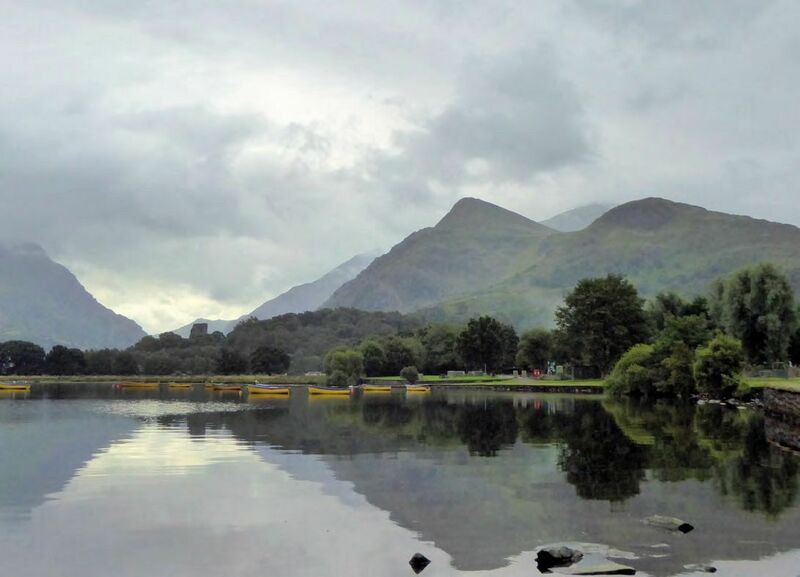 Photograph of Llanberis. Reflections are only clear if water is very smooth. On a windy day you are unlikely to see reflections. At Llanberis, the water was smooth so the reflections were very good. The view was close to a simple reflection, with some complex reflections on the right-hand side. The mountains and left side could be treated as a simple reflection.